News, events and important updates from RPimaging, INC.
-Click here to read agenda. Salt Lake City offers a variety of restaurants and attractions. If you're looking for fun things to do after class with your family, head over to any ski resort that's only one hour away from Onyx graphics. Hope to see you there! This entry was posted in News on January 8, 2019 by Kaung. If you are attending SGIA Expo 2018 next month in Las Vegas then consider attending my session How Good is "Good Enough?" This hour long session delves into how rate or grade color matching. Most printing businesses do not have insight into how well they are matching brand/spot colors or reference print conditions like GRACoL or SWOP. This session will address ways to quantify a color match to have a consistent quality deliverable. Tickets are required for this session which can be purchased the day of the event. This entry was posted in News on September 25, 2018 by Dan Reid. A Hot Bootcamp in Phoenix! SGIA CALDERA COLOR MANAGEMENT BOOTCAMP (AUG/21-AUG/23) was a success! Our small class kept their cool participating in this rigorous 2.5 day bootcamp in Phoenix AZ. We had a lot of great questions and learned a lot. Thanks to Matt Wold of Caldera and Ray Weiss of SGIA for making this a successful event. If you missed this bootcamp, our next bootcamp will be on October 30th - Nov 1st again featuring the Caldera RIP platform. Take advantage of the early registration discount to save $100.00 before it expires 45 days before the event. This entry was posted in News on August 25, 2018 by Kaung. Register 45 days before the event and save $100!!! There are limited seats available, register today to secure your spot! This entry was posted in News, Articles & Presentations on June 6, 2018 by Kaung. Hurry! This is Your Last Chance to Sign Up for the Color Management Boot Camp! Join us in Phoenix on Oct. 24-26 2017! PRESENTER: Dan Reid, Color Management Expert, RPimaging, INC. Jim Raffel and Ray Weiss along with certified digital color professional Shelby Sapusek. You Can Become An SGIA Certified Digital Color Professional! For the first time ever, attend the famed color management boot camp in sunny Phoenix! 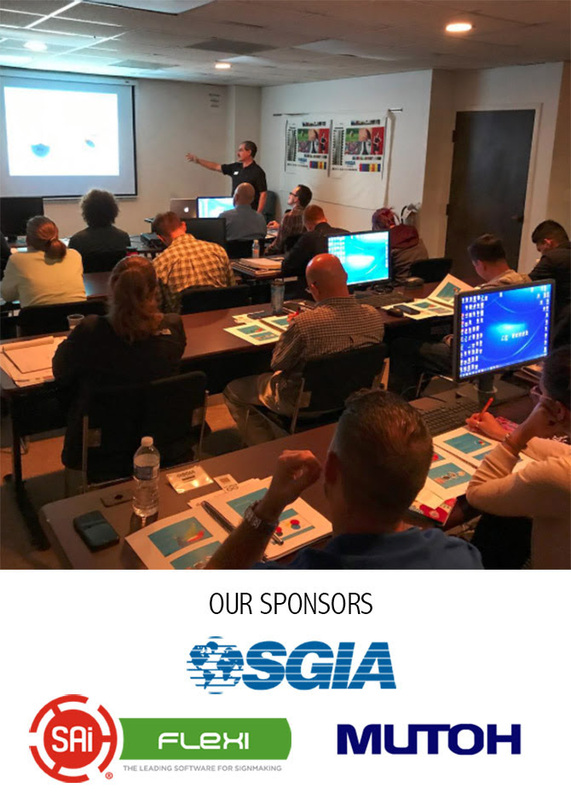 This workshop is led by certified SGIA digital color professional instructors Jim Raffel and Ray Weiss and certified digital color professional Shelby Sapusek. then this workshop is for you! FIND OUT MORE & SIGN UP TODAY! 1. Attend this SGIA Color Management Boot Camp. 2. Take the online test ($49, plus 25 percent discount for SGIA members). 3. Print the test image and submit it to SGIA – free until Jan. 1, 2018. After Jan. 1, 2018, cost will be $49, plus 25 percent discount for SGIA members. This entry was posted in News, Articles & Presentations on October 23, 2017 by Malik Villareal. DATE: Monday, December 5th, 11:00 a.m. – 12:00 p.m.
How good are your ICC profiles? That depends heavily on your data! In this session, Dan takes you on a deep dive into standard and custom color profiling along with emerging new reference charts. Learn what happens when you use more or less samples and change profile settings, like table size. Reverse engineer a data set from mystery ICC profile when no data set is available. See the good, the bad, and the funky in color data and how to work with what you’ve got. This entry was posted in News on November 2, 2016 by Kaung. It’s common for many systems to not communicate in print production. You need a solution that unifies and is built on standards to grow and interface with future systems. You need a system that connects your front-end with the backend. 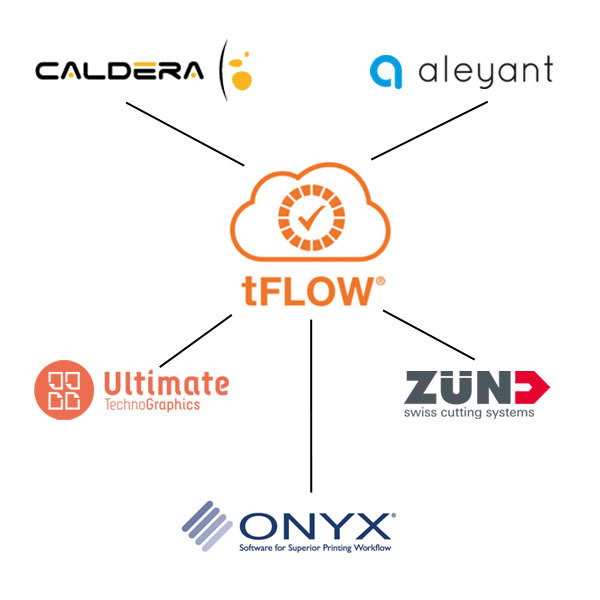 Communicate with Caldera Nexio, Onyx Thrive and ProductionHouse, and Ergosoft RIPs for automated selection of printers, medias, and settings. Send cut file information to Zund cutters directly. Automates the production cycle, from creation to finish. 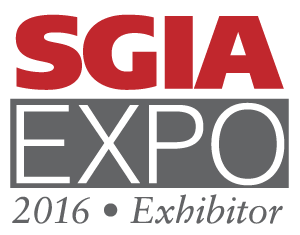 Visit booth 2577 at SGIA Expo to learn more. This entry was posted in News on September 9, 2016 by Kaung. There will be time for Q&A. Dan Reid, president of RPimaging, INC a print consultancy for color matching and efficient print workflows. Dan has G7 qualified some of the leading Flexo, Web, Sheet, and grand format companies over the last 10 years. Increasingly companies turn to RPimaging for guidance in multi-color printing or expanded gamut printing color characterization and workflows to convert conventional 4/C + spot jobs in automated workflows. This entry was posted in News on May 24, 2016 by alex. -What G7 does for non-litho applications? -RIPs that support the G7 calibration method. -Tools available for implementing G7. For more than 15 years Dan has provided color management consulting services to many leading brands and print service providers. As a G7 Certified Expert since 2006, Dan has helped numerous businesses achieve the merits of G7 print calibration method. This entry was posted in News on April 14, 2014 by Dan Reid. This entry was posted in News on March 10, 2014 by Dan Reid.